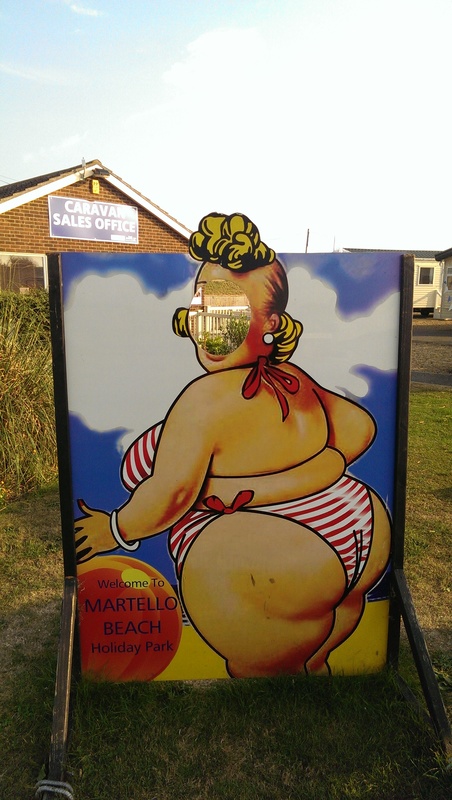 It had been over 20 years since I last stayed at the Martello Beach Holiday Park, and I remembered it fondly, having gone on a beano with the lads from work to the seaside in 2002. This time around, I was on a business trip(! ), so I tried to capture some seaside sounds and a range of accents that typifies the area at this time of year. Unfortunately, I didn’t have anyone to take my picture when I used the ‘fat lady cut out’, so I had to eat an ice cream instead. And then went and played on the fruit machines for a while.